[German]In Windows 10 V1903, Windows Defender receives tamper protection. Here are a few details, what this is and how it affects administrators in enterprise environments. [German]Windows Defender anti-malware platform update KB4052623 from January 2019 prevents Windows 10 systems from starting with Secure Boot. In addition, an activated AppLocker blocks downloads. But there are workarounds for both issues . Windows Defender with Update issues (01/30/2019)? [German]Just a brief notification for users of Windows Defender. It’ve seen independant reports, that Windows Defender has issues and can’t update since today. Microsoft has released a public preview of Windows Defender ATP for Windows 7 SP1 and Windows 8.1 in mid of June 2018. Here are a few details in case you missed it. [German]Users of Windows seem to have been startled in the last few weeks by false alarms from Windows Defender. Defender suddenly believed to have detected the Trojan Win32/Bluteal.B!rfn in regular files. [German]Protection against online threads (phishing, malware websites) etc. for the Google Chrome browser? Microsoft makes it possible with a chrome extension. Temporary profile in Windows caused by Windows Defender? 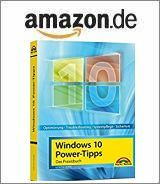 [German]Does Windows Defender in Windows (and Microsoft Security Essentials, MSE) cause user profiles to break and the user to log on with a temporary profile? Here is a short snippet of information on the subject. [German]In part 1 I’ve discussed, what’s causing error code 0x80070578 in Windows Defender. In part 2 I will discuss, how to fix Windows Defender Offline boot loop, that prevents Windows 10 start. Some Windows 10 users are facing a curious issue: Windows reports after each login an offline Windows Defender and shows error code 0x80070578. Here a few hints how to solve this problem.